Developed in partnership with Manchester United Football Club, Whey Power is formulated to support the specific needs of the modern day athlete. High quality Protein is blended with Creatine Monohydrate, clinically proven to improve physical performance in successive bursts of short-term, high intensity exercise. Recommended for use after gym sessions or short training sessions. Whey Power can also be used to boost protein intake between meals. Add 3 level scoops (45g) with 200ml water and mix well. Consume immediately after exercise or daily to increase protein intake. Whey Power contains 30g high quality whey protein isolate and concentrate, providing a source of rapidly digesting protein for use after gym sessions or training and between meals to boost protein intake. Whey Power contains 3g high quality creatine monohydrate which has been shown in many scientific studies to increase physical performance in successive bursts of short-term, high intensity exercise which makes it a key supplement for football players. Whey Power provides 9g BCAA's to support the maintenance of muscle mass. BCAAs are especially important as they activate the process of muscle protein synthesis as well as contributing as the building blocks of new proteins formed in the recovery period after exercise. Whey Protein Concentrate (Milk, Soy) (90%), Creatine Monohydrate, Natural Flavouring, Thickener (Xanthan Gum), Sweetener (Sucralose). Whey Power should be taken within 30 minutes of finishing exercising. It should be taken after gym or short training sessions . It is highly relevant for those athletes who need to recover quickly in order to prepare for another training session or competition period. What is the difference between REGO Power and Whey Power? REGO Power contains 30g Carbohydrate. 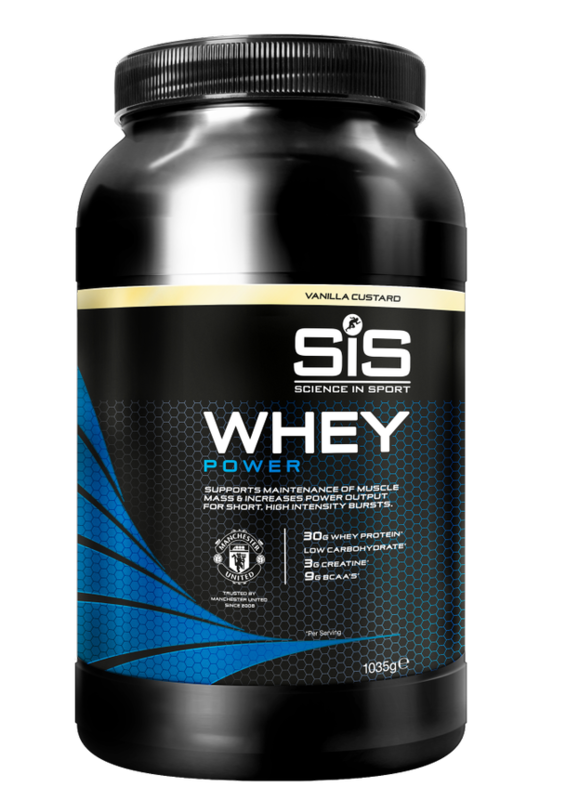 Whey Power is a low carbohydrate formulation with only 2-3g Carbohydrate dependent on flavour. It contains milk (whey protein concentrate) and is unsuitable for vegans.